A fresh Mediterranean twist on a snack favorite! 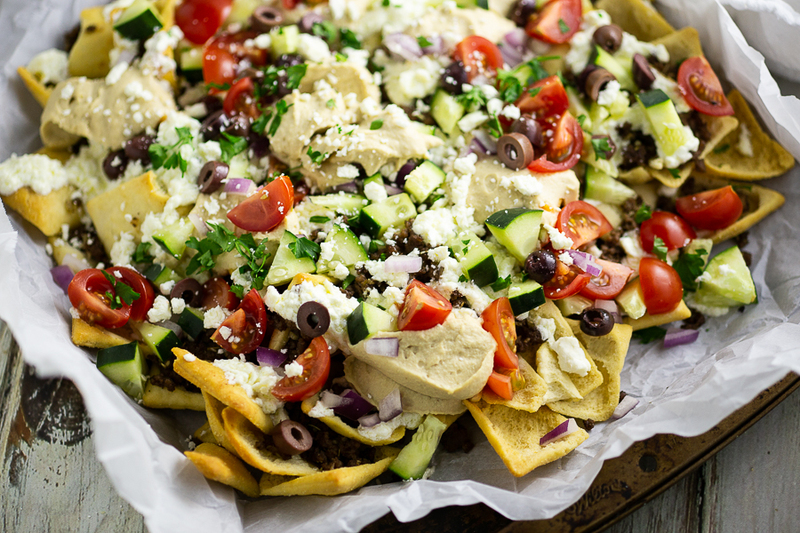 Greek Nachos with savory ground beef or lamb, creamy hummus, rich whipped feta yogurt sauce, and fresh toppings like cucumbers, tomatoes, and olives, all piled high on top of toasted pita chips. 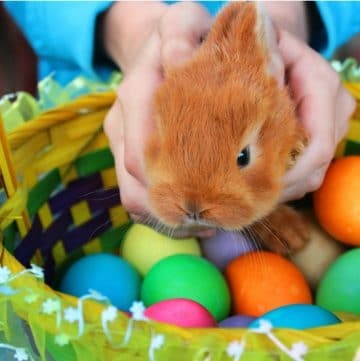 You won’t be able to stop eating them! It’s the Super Bowl next weekend already! One of my favorite weekends of the year. Once again, I don’t have a team actually playing, so I’ll just be there for the snacks. And the commercials. Let’s be honest. Those are the best parts always. I’m really excited to partner with Boar’s Head to share an epic yummy game day recipe and talk all about snacks. 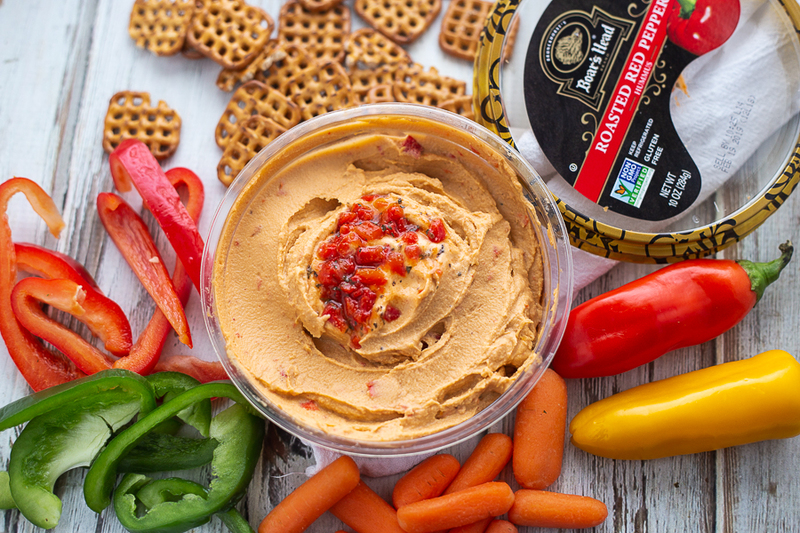 One of my favorite snacks of all time is Boar’s Head Roasted Red Pepper Hummus with some cut up bell peppers, carrots, cucumbers, and maybe even a few pita chips. It’s so good I can’t stop eating it. But what I truly love most about all Boar’s Head Hummus is the ingredient list. Nothing funky. 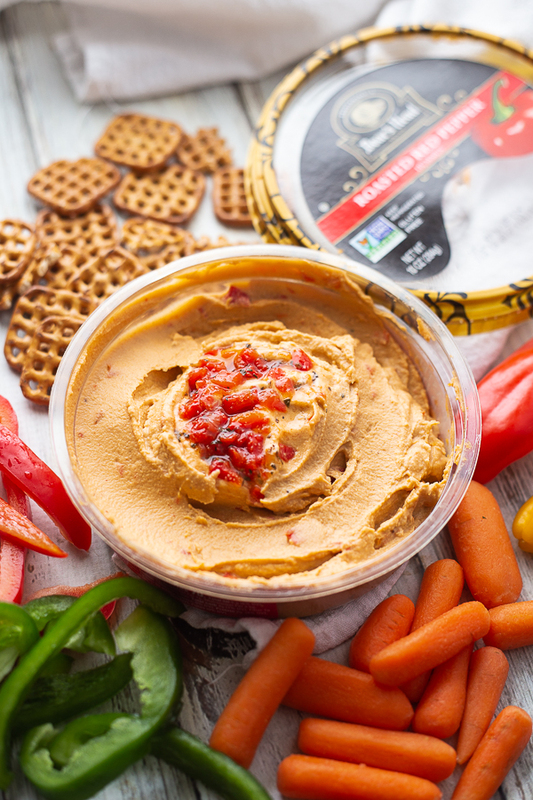 It’s exactly what you would expect to find in hummus, which is both exciting for such a great find and comforting knowing you don’t have to worry about iffy ingredients. 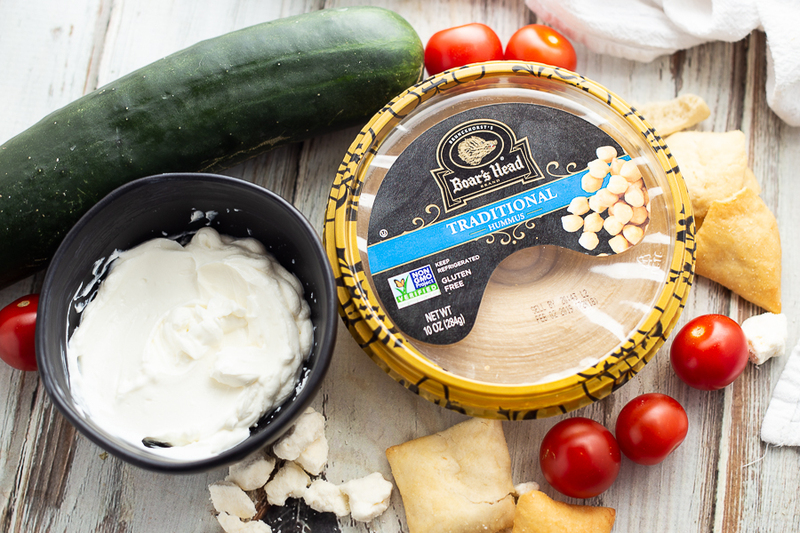 Boar’s Head Hummus is made with premium steamed chickpeas (which is listed as the FIRST ingredient, as it should be! ), toppings and spices that are Non-GMO Project Verified, all-natural, and gluten-free. There is no MSG or artificial, preservatives, flavors, or colors. It’s a food you can really feel good about eating. And all of those natural ingredients, like steamed chickpeas, sea salt, and tahini, really shine in the smooth, creamy taste. Boar’s Head actually has 13 different hummus flavors (!!! ), all amazing, but today I’m going to talk about three of my favorites and the ones that we’ll featuring next weekend for our Super Bowl get-together. So, what will we have at our Super Bowl get-together? 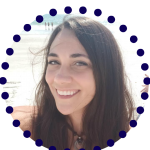 Our top three must haves at every event are a dip, a sweet, and, my personal favorite, (and the one food I could never give up!) nachos. First, the dip. 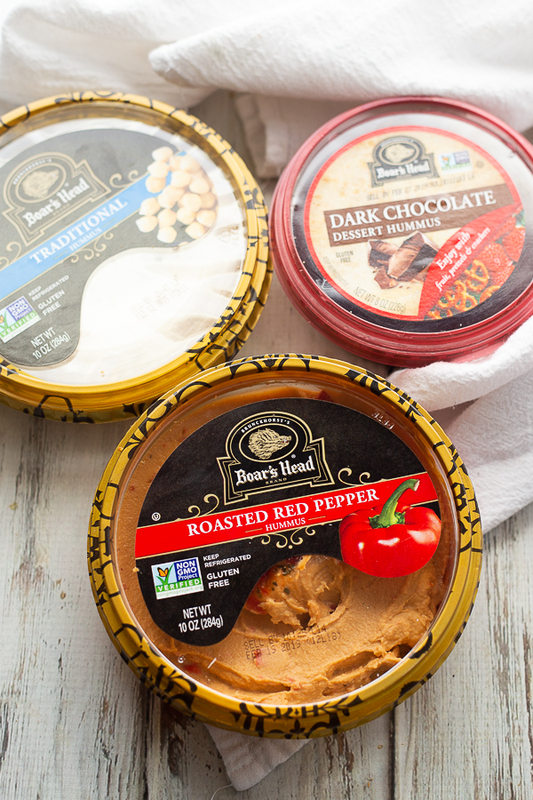 As I mentioned before, the Boar’s Head Roasted Red Pepper Hummus is a must. It’s so easy, and so good. Plus, it’s good on like everything. Bell peppers, cucumbers, and other veggies. Or if you’re like my hubby and would rather pass on the veggies, it’s also amazing with crackers, pretzel, pita chips, or even potato chips! Chips and dip, anyone? It really is a snack of all trades. 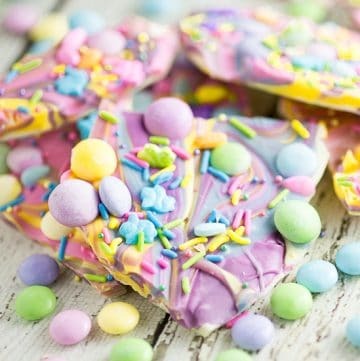 Mix in the topping for extra flavor in every bite! Now, most people think of savory foods when they’re planning a game day menu. But in my opinion, you can’t forget about a little something sweet. We keep it super decadent, but also really simple, with a dessert charcuterie board. 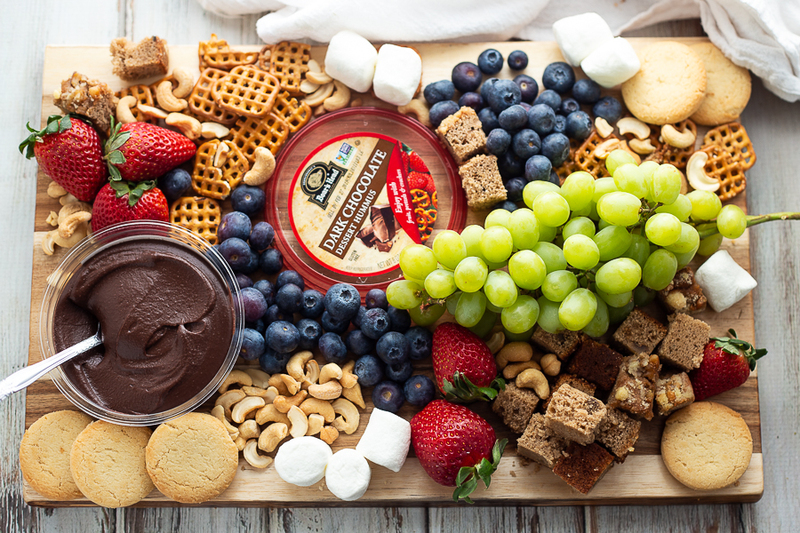 The most important part of our dessert charcuterie board is the Boar’s Head Dark Chocolate Dessert Hummus. This stuff is truly amazing. It is so rich and decadent, you wouldn’t even guess it’s hummus. My kids would absolutely eat with a spoon like pudding if I let them, and they have no inkling, whatsoever, that it might include something as healthful as chickpeas. I love making a dessert charcuterie board because it’s quick and easy to do, and it’s also totally customizable to your tastes. You can make it as healthy or indulgent as you want, and customize it with seasonal produce and seasonal flavors (like peppermint or pumpkin). 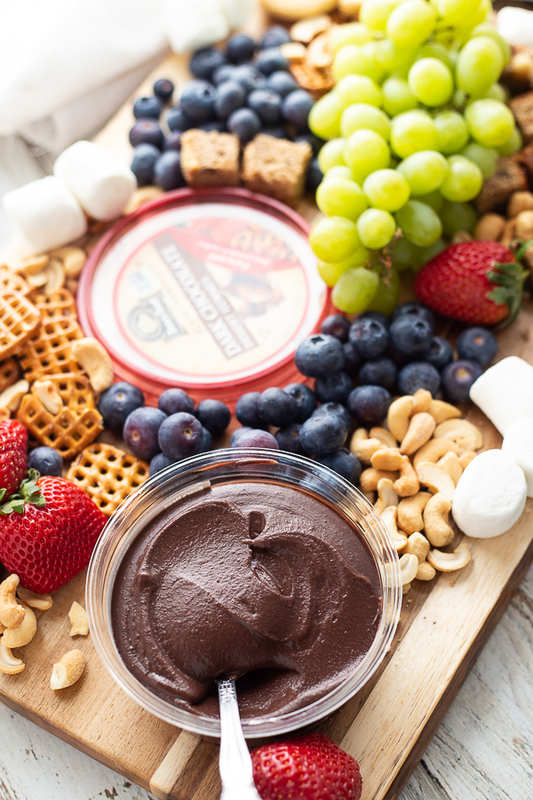 Our dessert charcuterie board will include Boar’s Head Dark Chocolate Dessert Hummus, strawberries, blueberries, grapes, green apples, cashews, coconut chips, and pretzels. Feel free to use any fruit you like! 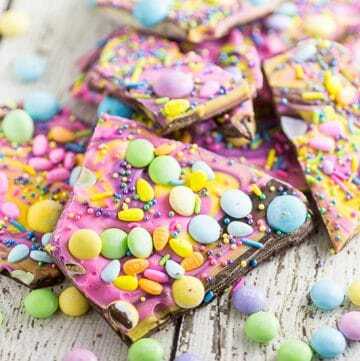 On the more indulgent side, we’ll also include some cookies, banana bread, and marshmallows. 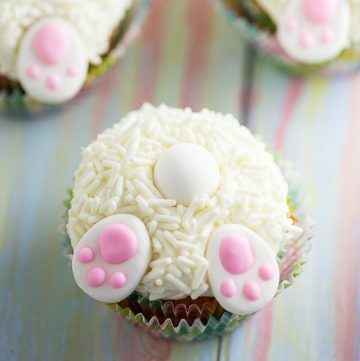 You could also use pound cake or donut holes. It all goes so well with the hummus as a dip. Last but certainly not least, the nachos! Traditional nachos have chips, meat, beans, cheese, and some fresh toppings like pico and guac, right? 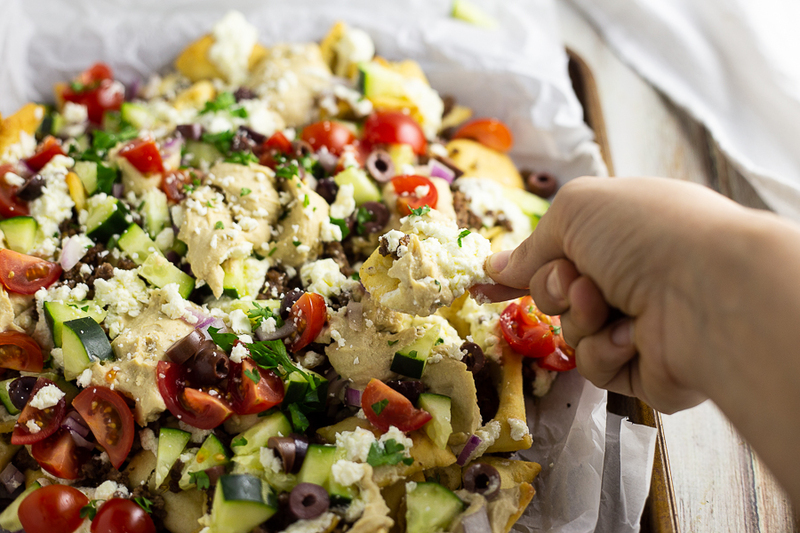 These Greek Nachos have all of those components with a fresh Mediterranean twist. 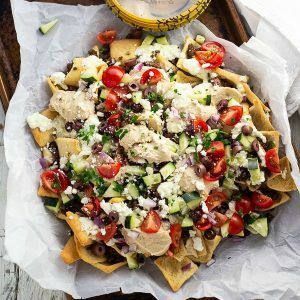 So, what’s in Greek nachos? Well for the meat, we have ground beef (or ground lamb!) seasoned to taste like salty, savory gyro meat. Then, for beans, there’s smooth and creamy Boar’s Head Traditional Hummus. The cheese is a cool, rich whipped feta and yogurt sauce, and we top it off with fresh cucumbers, tomatoes, red onions, kalamata olives, and fresh herbs. All on top of toasted pita chips. It. Is. To-die-for. 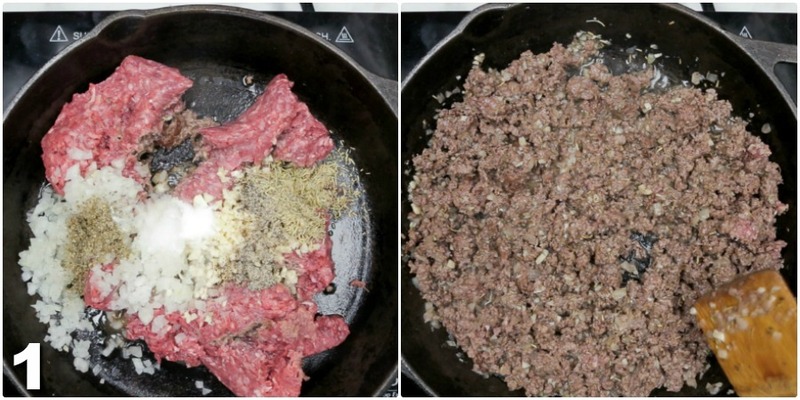 In a medium skillet, brown ground beef or ground lamb, onion, garlic, marjoram, rosemary, salt, and black pepper. Drain, and set aside. 2. 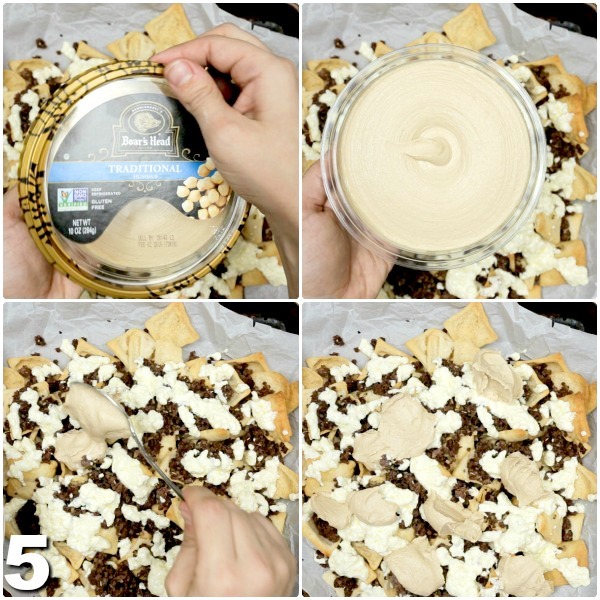 Spread pita chips on a baking sheet. Spoon ground beef or lamb on top. Bake at 350°F for about 5 minutes, just until chips are warm and toasted. 3. While the chips are in the oven, mix the feta sauce in a bowl. Add Greek yogurt, finely crumbled feta, olive oil, lemon juice, and garlic powder to a medium mixing bowl. 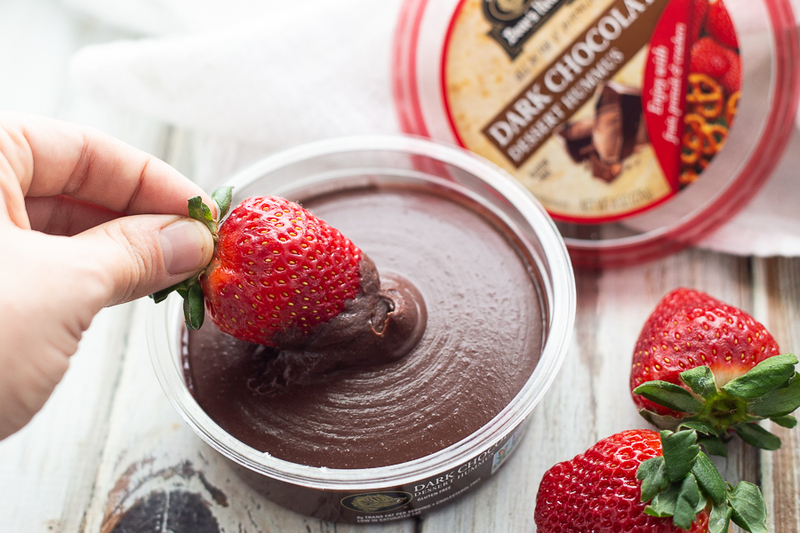 Whisk until smooth and creamy. 4. 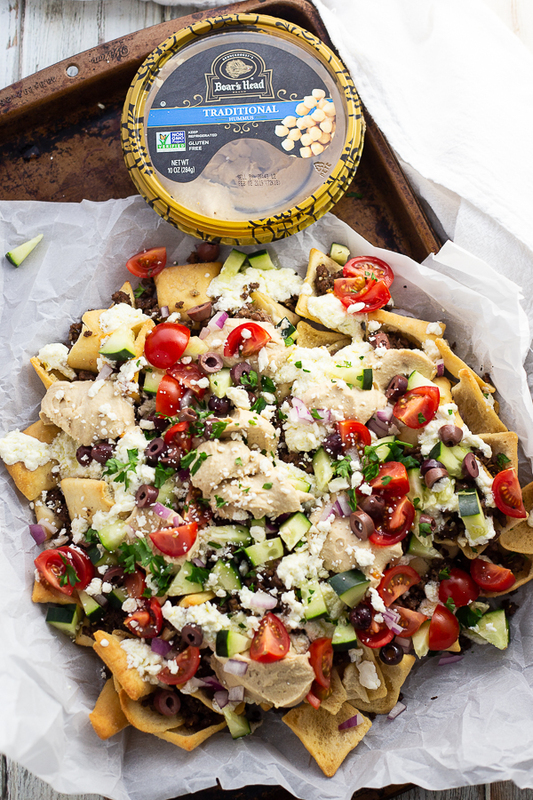 Spoon whipped feta sauce on top of warm nachos. 5. 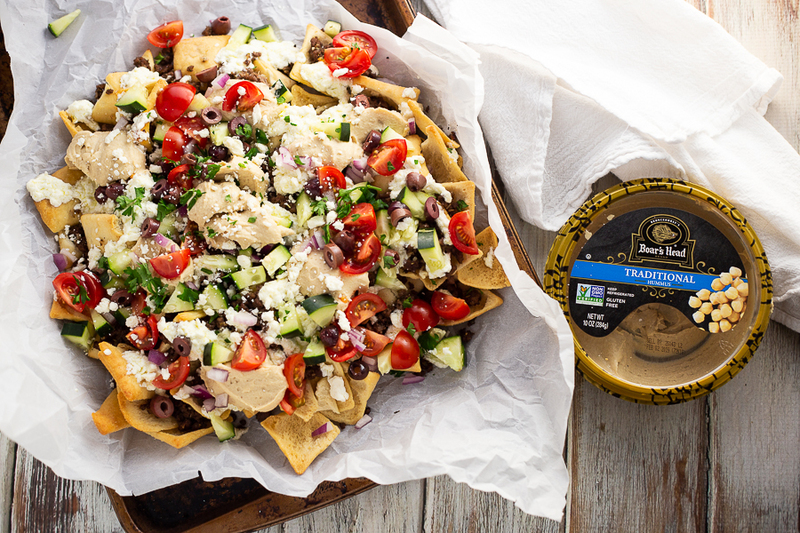 Spoon Boar’s Head Traditional Hummus in dollops over nachos. 6. Sprinkle on additional toppings such as cucumbers, tomatoes, kalamata olives, red onions, fresh mint or parsley, and extra crumbled feta. To make it Vegetarian: Just skip the meat. 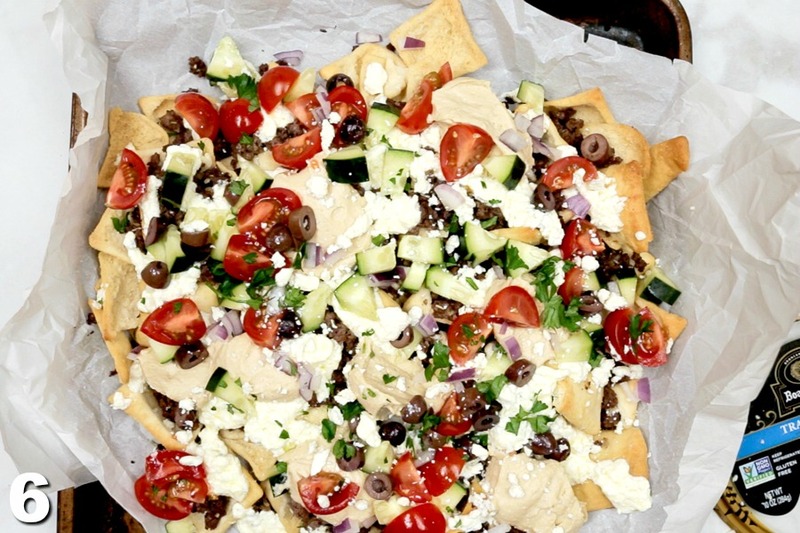 You can add extra hummus or whipped feta for added flavor! To make it Gluten Free: Use tortilla chips or gluten free crackers instead of pita chips. Ground lamb is amazing in this recipe! However, sometimes it can be expensive. You can cut costs by using ground beef instead. To make the whipped feta sauce extra creamy, use an electric mixer and beat until smooth. Warm chips for nachos is a must. After spooning on ground meat, pop the baking tray in the oven for about 5 minutes at 350°F, just until the chips are warm and toasty. Add some pepperoncinis for extra spice. 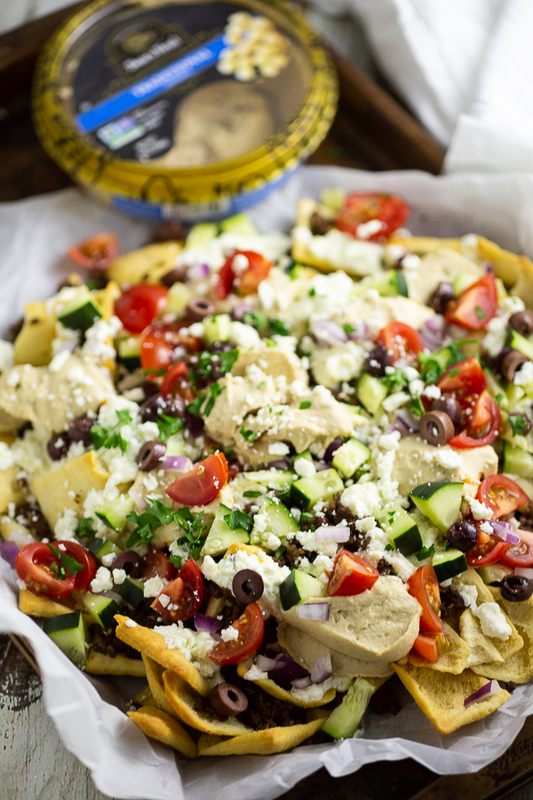 These Greek Nachos are easy to make ahead, so you have less to worry about on game day! Prep the ingredients the day before, so you’re all ready the next day. Cook the meat mixture (as directed in step 1 of the recipe). Then place, covered in a microwave-safe dish, in the refrigerator. Prepare the whipped feta, as directed in the recipe, and again, place covered in the refrigerator. Cut all veggie toppings, such as cucumbers, tomatoes, red onions, and herbs, and store them in separate baggies in the refrigerator. To assemble, follow step 2 in the recipe, and cook until the meat AND the chips are warm and toasty. Give the whipped feta sauce some extra stirs for smoothness before spooning on. Follow the remaining recipe directions for assembling. In a large skillet, add ground lamb or beef, onion, garlic, marjoram, rosemary, salt, and pepper. Cook over medium-high heat until browned. Drain. 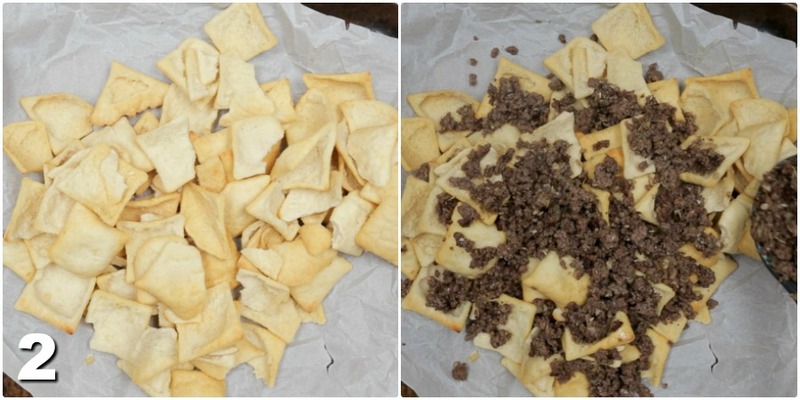 Spread pita chips onto a large baking sheet. Spoon meat mixture over chips. Bake in a 350°F oven for about 5 minutes, until the chips are warm and toasty. 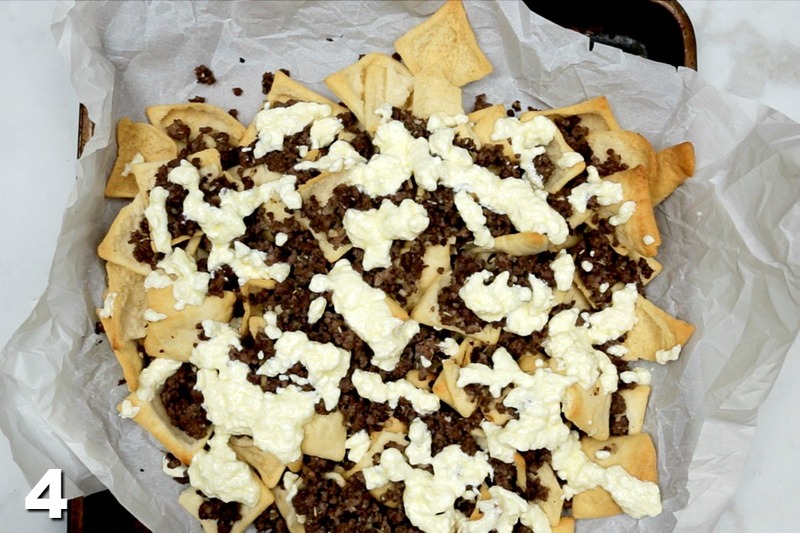 While the chips and ground meat are in the oven, prepare your whipped feta sauce. 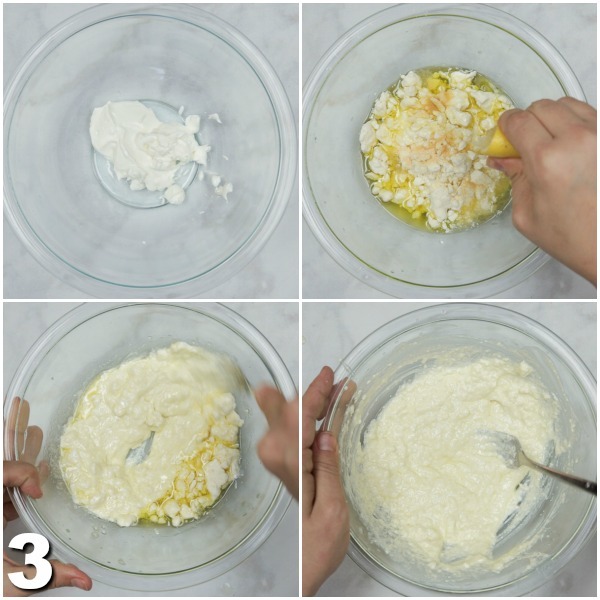 Place all ingredients, yogurt, feta, olive oil, lemon juice, and garlic powder, in a medium mixing bowl, and mix until smooth and creamy, breaking down the feta to fully combine. Spoon whipped feta sauce over warm chips and meat. Spoon Boar’s Head Traditional Hummus in dollops over chips, meat, and cheese. Sprinkle with remaining toppings: cucumbers, tomatoes, olives, red onions, parsley or mint, and extra feta. Line your baking sheet with parchment paper or foil (NOT wax paper) for easy clean up!